(Editor’s Note: While browsing some reading materials at the Cebuano Studies Center of the University of San Carlos during a visit to the USC Library in Cebu – I came across an old book – THE CEBU PATRIOTS IN ACTION – published in 1946 and authored by Cayetano Villamor, a guerrilla officer during the war. Only two Danawanons were featured and considered war heroes and patriots. A lesser known Danawanon hailed as a valiant war hero was a certain Capt. Agripino Casia. He died in combat bravely fighting against the Japanese invaders. by: Cayetano Villamor, author, “The Cebu Patriots in Action”, published 1946. Times change and the hearts of men change with them. The statement is absolutely correct. But I propose to make an exception. With greatest confidence and with an enormous lift of my heart I can forcefully state that our people sincerely believe our recent resistance against Japan will always remain a glorious chapter of our country’s history. There should be no controversy on this point. You and I cannot quarrel with Fate and cannot successfully rise against posterity’s verdict. It is therefore fitting and proper that honor, pride and glory, in fact, everything that is best and sacred in our people be given the patriots. Their sacrifices and miseries gladly undertaken because they love their country readily found responsive echoes in our hearts. This is precisely the reason why I always greet with respect and appreciation Lieutenant Colonel Alejandro D. Almendras, a brilliant mind, a forceful and persuasive character. During the most perilous years of our national existence this dashing and energetic leader cheerfully defended his country and its institutions. The heroic part recently played by this born soldier with a genius for battle strategy and tactics is now a matter of history and, for certain, it will always fascinate the utmost attention of future historians. The people will always be proud of his courage and gallantry in action during the bloody engagements with the enemy. Sincere and convincing evidence may be presented to prove these assertions. And to be sure, they are devoid of exaggerations. They are facts as recorded and witnessed by the guerrillas themselves. 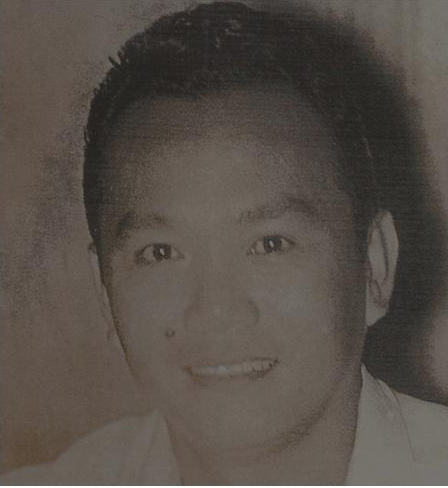 Lieutenant Colonel Alejandro D. Almendras, 27 years old, married and resident of Danao City, Cebu was commanding officer of the 88th Infantry Regiment during the the guerilla against Japan in Cebu. After his graduation from the Cebu Provincial High Scool in 1938, he took up aeronautical engineering at the Far Eastern University in Manila up to the third year. In 1941 he successfully finished the ROTC advance course in the same institution. He then took up a two-month cadre training at Camp Lapulapu, Cebu City. On July 1, 1941, our young graduate entered the Philippine Army air corps as flying cadet until the outbreak of the war between the United States and Japan. He was credited with 96 flying hours. Being determined to finish the course, our flying cadet returned to Cebu, his home province, where during the months of February and March, 1942, he continued his flying training at Lahug airfield. Then our young man’s unit was ordered to proceed to Malaybalay, Bukidnon, where he was assigned as its censor officer. On May 9, 1942, Gen. Sharp ordered the surrender of the whole Mindanao force to the Japanese Imperial Forces. Upon arrival at his hometown Lieut. Almendras observed that the Japs were extraordinarily busy in capturing ex-USAFEE soldiers and loyal Filipinos. He then fled to the mountains of Danao. But, evidently, the Japs were determined to capture the young officer. And when his hideout was raided to effect the capture, he escaped to Bantayan Island where he patiently and secretly campaigned to organize a resistance unit in the place. Sometime in November, 1942, Lieut. Almendras with some enlisted men joined the Far Northern Cebu Sector of the guerrilla force. He became the executive officer of Company “C” of said Sector. A month later he was transferred to the Eastern Cebu Sector and was assigned as Company “E” commanding officer under the leadership of Major Maximo M. Albundio, batallion commander. Japs estimated to be three hundred wanted to break Abundio’s line of defense. Without loss of time the patriots deployed themselves ready to engage the approaching enemy at Talamban, Cebu City. Lieut. Almendras’ company was at the right flank of Capt. Acantillado’s unit. The encounter proved disastrous to the Japs, seventy of whom being killed. Major Abundio’s batallion suffered six casualties while Lieut. Almendras’ unit suffered two casualties, one killed and the other wounded. The Japs must have felt their losses deeply and hurriedly asked for help. Six enemy planes came to their assistance which made the patriots’ withdrawal imperative. During the first week of June, 1942, Lieut. Almendras’ company again engaged the more than 250 Japs at Mit-ol, Balamban, who wanted to penetrate the area occupied by Col. James M. Cushing, Cebu’s supreme resistance leader. “At that time”, Lieut. Almendras related in a manner that carried conviction, “I was still the commander of Compnay “E” of the Eastern Cebu Sector and during the engagement I was assisted by Lieuts. Tabal and Opsenar. During the three-day fight the patriots were able to kill 180 Japs including ranking officers. But, again, Japanese planes came to their rescue, thereby making the Japs’ withdrawal safe. Col. Cushing was at a hill nearby and was able to observe at close range the activities of his men who were able to capture two samurai swords, and Japanese battle flags, Japanese shoes, blankets, two enemy rifles and 5000 rounds of ammunitions. Days later, Lieut. Almendras was promoted to First Lieutenant in recognition of his amazing achievements. 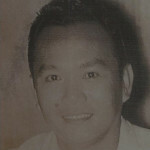 The third encounter participated in by the newly promoted officer took plance in Taptap, Cebu City in September, 1943. At that time he established his headquarters at this barrio and hwen the Japs knew it, a company of enemy soldiers guided by Filipino traitors from nearby Adlaon proceeded to their patriots’ area to crush any kind of resistance. Lieut. Almendras’ company was able to hold the enemy for 2-hours. The enemy casaulty was unestimated. The patriots suffered one casualty. In September, 1943, Major Abundio’s battallion engaged the Japs at Balisong, Cebu City. Lieut. Almendras’ company was at the right flank of Capt. Acantillado and Col. Cushing was with the company commander. The enemy could not be estimated and due to the patriots’ heroic determination to hold their line, the Japs were forced to withdraw disorderly to Pit-os, Talamban, from where they started. As a result of this encounter two of the patriots were wounded. The Japs suffered more than fifty casualties. The enemy withdrawal to be sure, provided tremendous pleasure at the patriots’ headquarters. Both Col. Cushing and Major Abundio as well as Lieut. Almendras indulged in drinks that night to fittingly celebrate the rousing victory. Days later while Lieut. Almendras was relaxing at his command post, a report was received by the battallion commander that an unestimated number of Japs was approaching the patriots’ area. His company was ordered by the battalion commander to intercept the enemy at Cang-Irag Ridge, Cebu City. Due to heavy enemy pressure Lieut. Almendras was forced to withdraw and to establish another line of defense at Balisong Ridge. The Japs pursued the patriots and were twice repulsed. The enemy beaten and horrified, retreated backwards in terror. Lieut. Almendras’ unit was able to capture plenty of enemy equipment and supplies and the enemy, it was reliably reported, suffered forty casualties. On December 30, 1943, more than 400 Japs surprisingly attached the patriots’ general headquarters at Tupas, Cebu City. Col. Cushing and the members of his staff were there. The enemy, it must be truthfully reported, succeeded its mission at a tremendous sacrifice. The patriots had three casualties, including Lieut. Sena, NC., who was wounded in action. On January 1, 1944, the 400 Japs who were able to penetrate Tupas were determined to enter the area occupied by Capt. Almendras’ company. The young and energetic Captain was likewise determined to hold his line of defense and his soldiers were hastily deployed at the Cabaasan Ridge of said city. “You cannot successfully defend your line due to enemy superiority,” Col. Cushing told Capt. Almendras. Hours later on the morning of that fateful January first the Japs attacked the patriots’ defense line from three points. When the Japs were about two hundred yards from the patriots, the latter opened fire. “I was at the right side of our machine gun emplacement and the bloody encounter lasted for two solid hours,” Capt. Almendras recalled. Capt. Victorino Orcullo, Lieut. Pedro Suico as well as Lieut. Tabal took part in this memorable engagement and for sure, must also have enjoyed shouting the Japs. Capt. Almendras’ force suffered nine casualties, three killed and six wounded. Two of the patriots were captured and latter were able to escape and to report at the resistance headquarters that more than sixty Japs including a captain and a lieutenant were killed in that grim encounter. The hand-to-hand fight which ensued forced Capt. Almendras to order his boys to withdraw. The fanatics, however, pursued them up to Liki, Cebu City and the situation was so precarious for the patriots that Major Bonsukan reported to Col. Cushing that the dashing company commander was killed in action according to an enlisted man’s report. The report worried and deeply disturbed the Cebu Area Command leader. However, said report proved false later on. Capt. Almendras, healthy and sound, was able to withdraw safely with his men to his second line of defense. In January, 1944, Capt. Almendras became a battallion commander under Col. Maximo M. Albinda, the regimental commander. At the same time he was the plans and training officer of the regiment. Weeks later unestimated Japs coming from Asturias and Balamban were on their way to Yuta-on, the headquarters of the 86th Infantry Regiment under the command of Major Albinda, Capt. Almendras’ battalion engaged the enemy at Hagnom-Liputon. Due to enemy pressure the whole battalion was forced to withdraw . The patriots suffered three casualties in this encounter while the Japanese casualty was unestimated. While Major Almendras was the regimental commander of the 88th Infantry Regiment, Cebu Area Command, he personally led a number of his officers and enlisted men to ambush a stranded launch at Binungkalan, Carmen. All the members of the crew – 12 Japanese fanatics – were killed. During the American bombings of the enemy vessels sometime on September 12, 1944, up to the last week of October of the same year the 88th Infantry Regiment captured 518 Japanese survivors within its area. It was also able to seize two thousand pairs of shoes, medicines, canned goods, sacks of rice, 112 barrels of gasoline, 13 machineguns, 2 twin machineguns, 12 Japanese luggers, six samurai swords, 180 Japanese rifles, 18,000 rounds of Japanese radio sets. In October, 1944, Major Almendras also took command of Lieut. Orejudoz’s company in ambushing the Japs in Catmon on their way to the northern part of Cebu province. Due, however, to lack of ammunition the patriots under Major Almendras’ command withdrew to a better position. I was reliably reported that twenty Japs were killed. The patriots suffered no casualty. From February 18 to 21, 1945, Lieut. Col. Almendras received an order from the Cebu Area Command headquarters to drive the Japs to the northern tip of Cebu province. In this drive the activities of the 88th Infantry Regiment were supported by American planes under Capt. Thompson. Days later Lt. Col. Almendras was ordered to defend the Tuburan airfield which was repeatedly threatened by the enemy. His regiment then established its defense line at Tabuelan – Kantakuyan Ridges, Tuburan. The Japs attempted six times to get the Tuburan airstrip. But they were repulsed, for the patriots under Col. Almendras were determined to defend the place at any cost. On April 23, 1945, when the American forces started their drive to the north after taking Babag Hill and Antuanga Ridge, Cebu City, the 88th Infantry of the Cebu Area Command under the leadership of Lt. Col. Almendras was attached to the 182nd Infantry, American Division. Lt. Col. Almendras’ regiment was given a mission to capture Solima Ridge, Kantakuyan Ridge and Gumbang Spring, Tuburan, which at that time were strongly defended by the Japs. Gumbang Spring, it must be noted, was the only source of drinking water for the enemy. The renegades were determined to defend the place at any cost irrespective of consequences. Col. Almendras’ mission was successful. His outfit, however, suffered tremendous casualties. The Japs reported three hundred six dead including three officers. The patriots were able to capture five samurai swords, two machineguns, nine rifles, one baby mortar and plenty of supplies. In May of the same year Col. Almendras’ outfit was given another difficult mission, this time to capture and occupy Magdaguok, a Japanese stronghold in Sogod, and Tabili, Catmon, which was heavily fortified by the brutes. A bloody encounter ensued and the Japs were beaten. Magdaguok was capture by Col. Almendras’ first battalion which was commanded by Capt. Jose Armilla. Forty-seven Japs were killed. The patriots suffered three casualties. It must, however, be noted here that after the landing of the American liberation forces, the activities of Col. Almendras’ regiment were supported by the American artillery. And the support proved very effective and disastrous to the enemy. Then the whole 88th Infantry Regiment was ordered to capture Amatugan, Camansi and Amancion Ridges in Tuburan where the Japs were concentrated. “In these places twenty-seven Japs including five women surrendered to us,” Col. Alrnendras related. Col. Almendras’ outfit then was given garrison duties in Bogo, Borbon, Tabogon, Daanbantayan, San Remigio and Medellin. And immediately after the surrender of the Japanese Imperial Forces it was given a mission to contact the Japs and to tell them that the war is over. And the agreed Japanese surrender took place on August 28, 1945. All the Japs in the northern part of Cebu came down to Caduangan and surrendered to General Arnold. Evidently, Lt.Col. Almendras is a patriot with a brilliant guerrilla record. I am proud of him and, certainly our country is likewise reasonably proud of this brave and courageous patriot, – a brilliant and magnificent leader. For gallantry in action, Col. Almendras was awarded a Silver Star Medal by the Commanding General of the American Forces. From April 23, 1945, to May 11 of the same year he commanded a regiment against the Japs at Batawang and Solima Ridges and at Kantakuyan and Gumbang Springs. “Col. Almendras’ gallant and skillful leadership,” the citation concluded, “contributed greatly to the successful, completion of his regiment’s mission in a short period of time.